A businessman who travels through Manchester Airport every week says the cost of his minicab rides have gone up by £50 a month since new drop-off charges were launched. Michael Cowell, 34 from Altrincham, travels regularly in his role as a furniture design company director. Last month, hub bosses introduced ‘kiss and fly’ drop-off charging, with drivers paying £3 for five minutes or £4 for ten minutes - and £25 for stays over that. The airport has long had a £4 minimum car parking charge in place. But drivers used to avoid paying this by using forecourts to pick up - against airport rules. However forecourts have now been taken over by the drop-off charging bays - which means drivers picking up passengers now have no choice but to pay. Michael now claims Uber drivers he has used are passing on both pick up and drop-off charges - plus a premium for waiting time - taking his average journey cost from £17 to £23, and his monthly outlay from around £136 to £184. And that’s when Michael can even get a cab - he says Uber drivers have started to refuse pick-ups from T3 because of the inconvenience and cost. He added: “Last week fifteen different Uber drivers cancelled on me and I had to get a black cab for £31 because Uber drivers have started to boycott T3 to avoid the hassle of going through the car park now the forecourts are no-go areas. 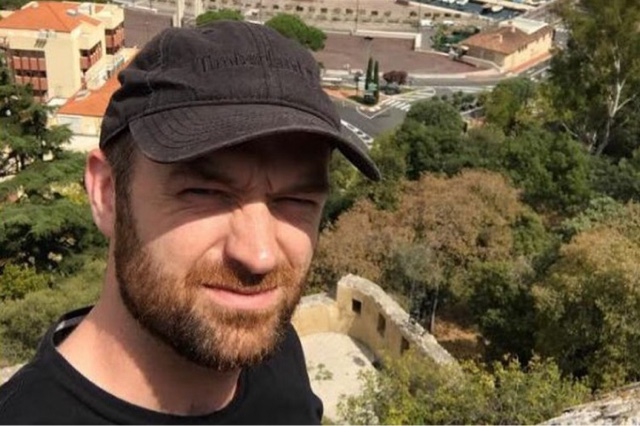 The dad-of-two, whose work takes him to destinations across the UK, Ireland and France, added: “It sounds like small costs but it adds up pretty quickly for someone like me. “I understand the airport needs to pay for its expansion but this new parking system hasn’t gone down well. “It’s harder to drop off and it’s harder to pick up because you are now forced through a car park. It’s expensive. He added: “I’d like to see the director of the airport comment on this. I’ve got this old-fashioned mentality that the leaders of an airport should get involved when there’s clearly a problem. A Manchester Airport spokesman said private hire companies were responsible for setting their own fares and that drivers can apply for a discount scheme. The spokesman added there was a free drop-off option at the Jet Parks 1 which cab drivers can also use to avoid fees. A Manchester Airport, spokesman, said: “As we developed our new forecourt arrangements, we considered the interests of a significant number of user groups. This included frequent commercial users, such as private hire operators, for whom a discount scheme was developed.